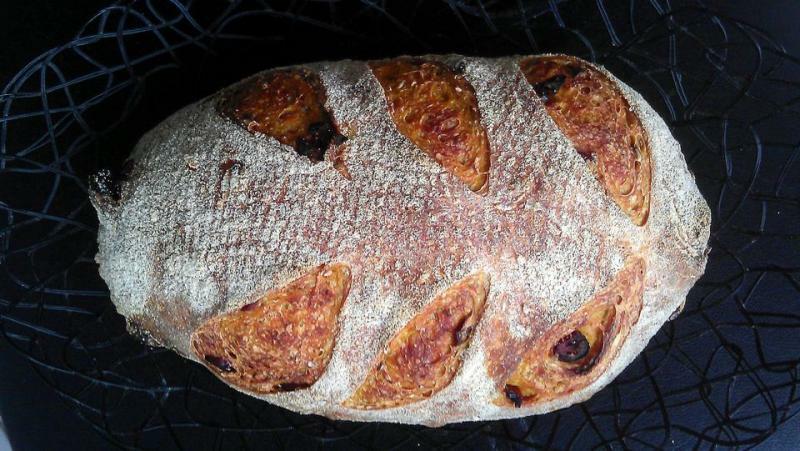 orange carrot yeast water whole wheat sourdough ..
weekend baking is always for friends. my friends have no preference, so it allows me to experiment and practice... !! 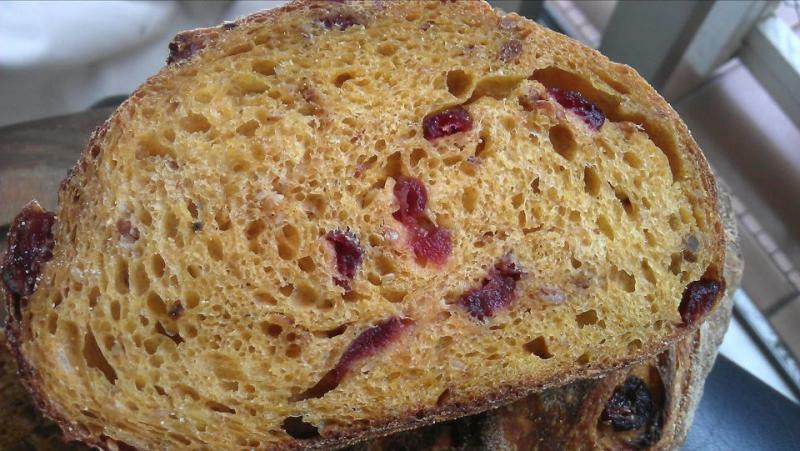 here is the crumb shot.. added cranberry for color contrast. Those look beautiful. I love your scoring. So was the yeast water made with carrots or did you add carrots to the dough? i added orange peel and carrot juice to YW.. let it ferment for 2 days. i did add grated carrots to the dough as well. yes, myscoring improved! :) tight shaping helped to get a clean score. 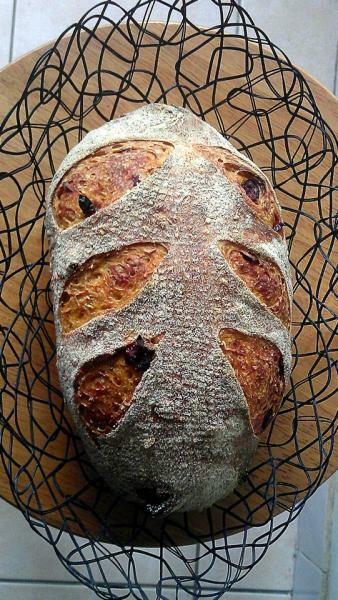 Great looking bread. How about a picture of the crumb? Your practice has paid big baking dividends.Nice job! Another inside out beauty, Evon! thank you Alpana, varda and dabrownman. you all have been encouraging, i appreciate it very much. I love them, Evon.. crust, crumb, scoring... You name it. Well done. Do you share recipes. 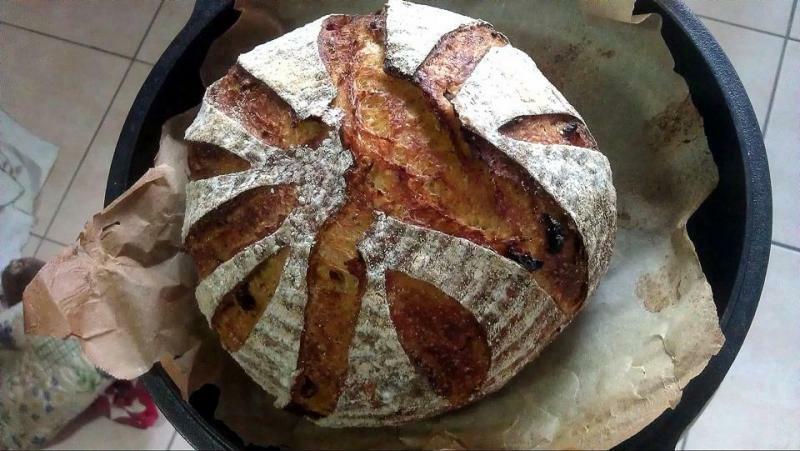 I would love to try your recipe for the orange carrot yeast water whole wheat sourdough boule.